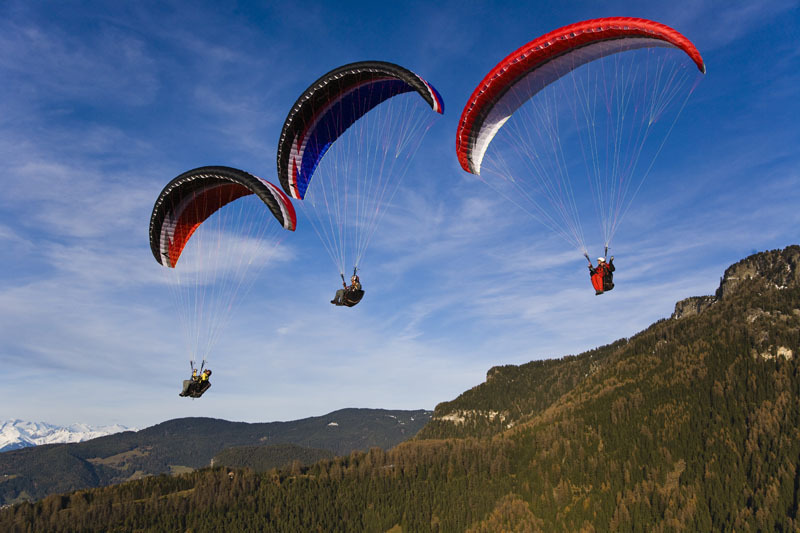 The most successful range in the paragliding scene continues. 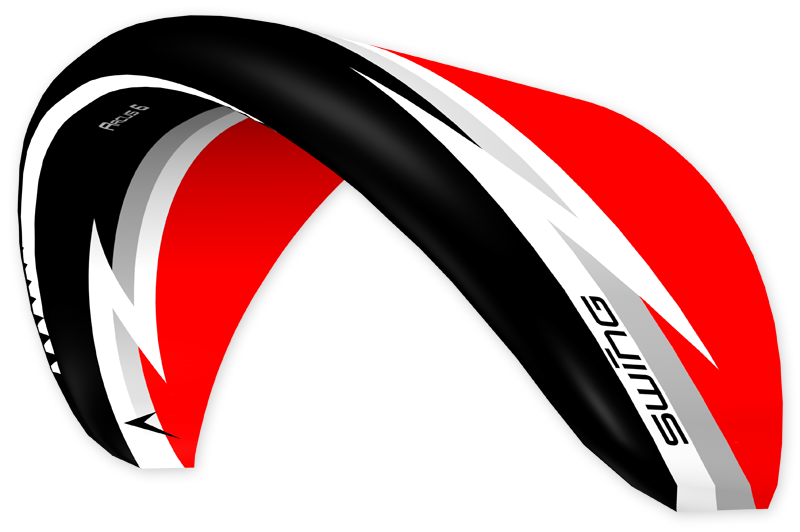 Important: The Arcus 6 Compact will become the standard version of the Arcus 6 from January 2010. Find out more here. The success story of the Arcus range continues with the Arcus 6. 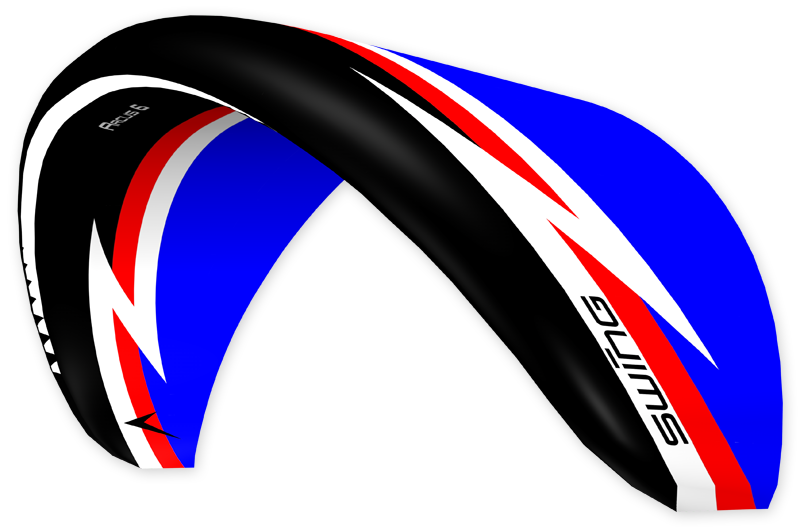 Swing has retained the successful concept behind the original Arcus and transferred it to a completely new design. As with the gliders it is superseding, the Arcus 6 (unaccelerated) complies with the requirements for the LTF 1 class (German airworthiness standards). It is ultimately up to the pilot to decide when to treat the glider as an LTF 1-2. Nevertheless, pilots need not go without the handling and high trim speed of the LTF 1-2 in unaccelerated flight. 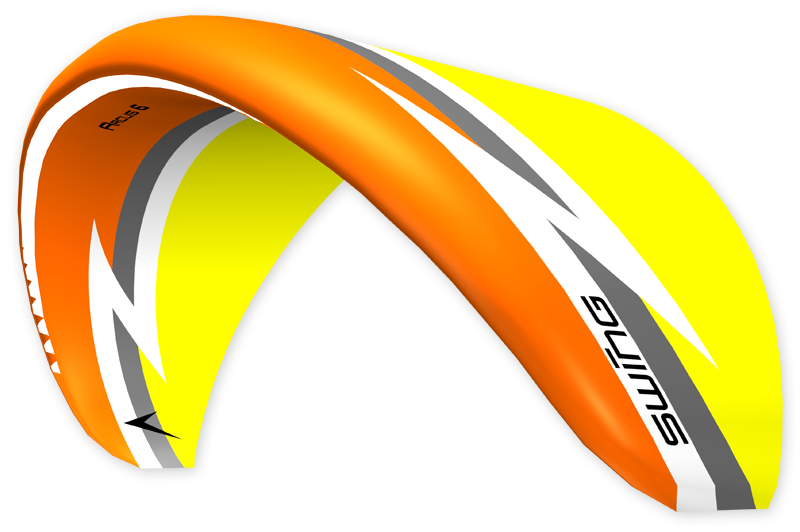 The Arcus range is and will continue to be the perfect all-round glider for more than 60% of paraglider pilots. 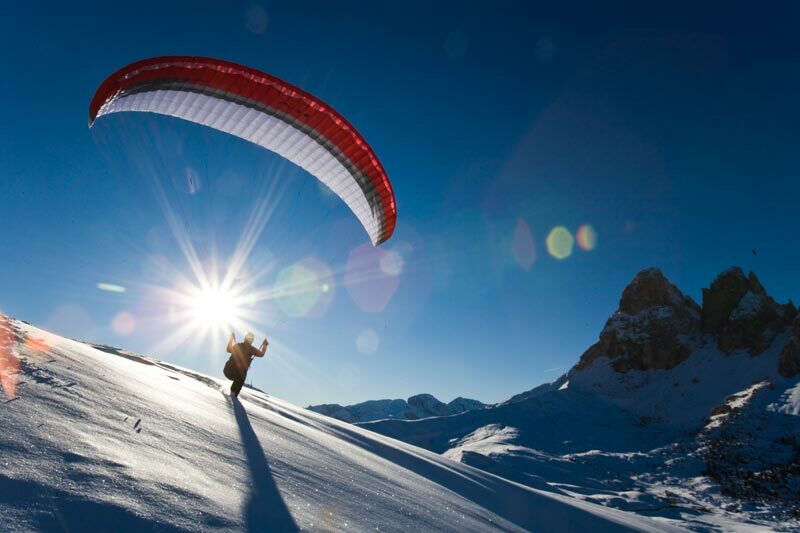 It receives more praise than probably any other paraglider. There is good reason why more than 10,000 Arcus gliders have been sold around the world. So our design team led by Michael Hartmann was even more excited about the challenge of improving on its predecessors with the Arcus 6. A total of 18 prototypes were fine-tuned until the flight behaviour satisfied the team’s demands and any remaining imperfections were ironed out. The vast majority of pilots fly unaccelerated most of the time. This is exactly what makes the Arcus 6 such a suitable glider for beginners, despite its high performance and agility. The new Arcus (unaccelerated) is and will remain an LTF 1 glider. Its stability and well-balanced nature leave no doubt as to its suitability for learners to use for their first high-altitude flights. 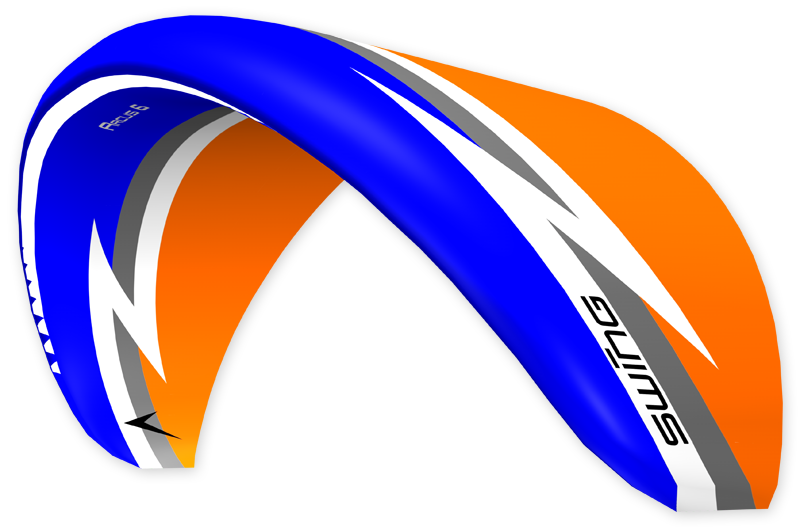 Pilots who fly socially or infrequently will also have great fun with this perfectly balanced all-round glider in thermal and cross-country flying, as will pilots taking a step back from higher LTF classes. Not only is the design new, but Swing has also broken new ground in the conversion of 3D computer models into 2D templates for production. Reduced sail tension in combination with the oval air-entrances made it possible to design a canopy which is extremely smooth. Its harmonious profile, matched with an appealing and snappy design, emphasise the unique nature of the Arcus 6. L’Arcus 6 par rapport à l’Arcus 5 – Quelles différences en vol ? L’Arcus 6 par rapport à l’Arcus 5 – comment diffèrent-ils dans la conception ? New performance possibilities for a group of pilots which is all too often neglected: we have added a sixth size of glider to the popular Arcus 6 range, so it now includes the 120 – 150kg weight group. The Compact 6.32 nevertheless remains a LTF1/1-2 glider. The larger surface area is compensated by the lighter material combination in the Compact version, so it offers a pleasant pack size which is comfortable to carry. This size will therefore be available only in the Compact version. It keeps getting better: the Arcus 6.32 Compact can be converted into a small tandem glider at any time. This is a unique selling point which should not be underestimated when it comes to resale! It is ideally suited for lighter pilots and social pilots who would like to take their children or friends flying. The 32 Compact can be converted into a very appealing and agile tandem by simply changing the risers. And, in just a few quick steps, the small tandem changes back to an “outsized” solo glider. 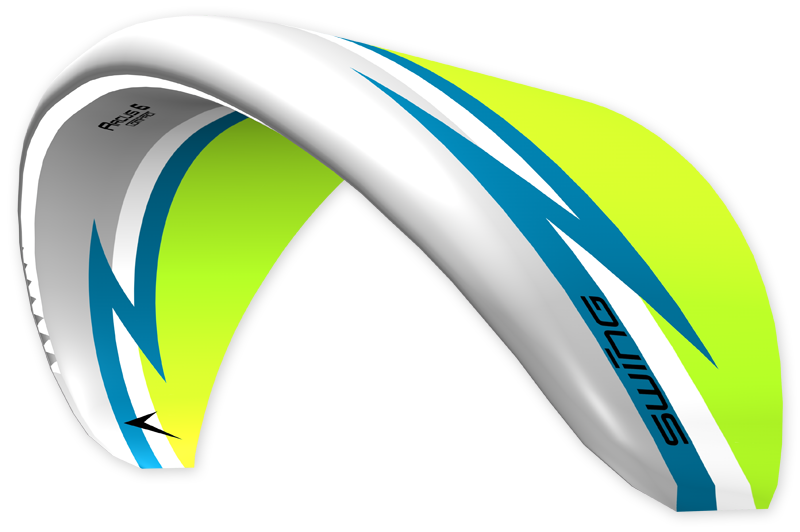 The Arcus 6 is robustly designed with a 44g/m² fabric so that it will also withstand the demanding use in flying schools. In addition, Swing has for some time been offering the Arcus 6 in the “Compact” version as well, for pilots who have completed their training. The only difference between the two versions is the fabric used. We have been using our new Techtex WT 3020 fabric (40g/m²) for the Arcus 6 Compact since June 2010. This was first used for the Mistral 6, Astral 6 and Twin 4. We are very confident about this fabric, given what we have seen of its stability and durability both in an extensive series of tests and also in practice. 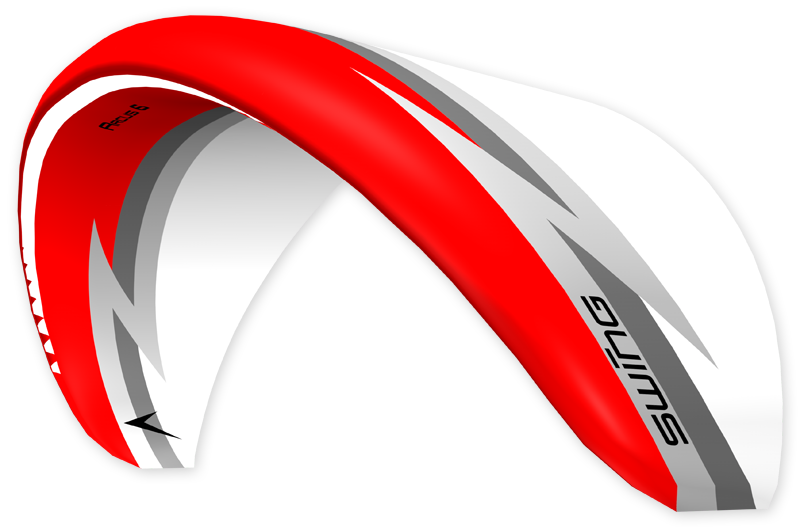 As far as pilots are concerned, the main difference lies in the fact that the canopy weight is somewhat less than the original version of the Arcus 6 (44g fabric), which means that the glider rises even more easily in the inflation phase and the pack size is much more compact, as the name suggests! However, the Compact is not a lightweight glider as such. The glider’s longevity of course takes priority. (delivery time of 3 weeks). Arcus 6 – a class of its own!